The album contains some of the band’s most iconic tracks, including ‘Never Tear Us Apart’, ‘Mystify’, ‘Devil Inside’ and ‘New Sensation’. After releasing two successful compilation albums ‘Kick’ will start the reissue of their studio albums, “I don’t want INXS dumbed-down into five hits," Murphy added. 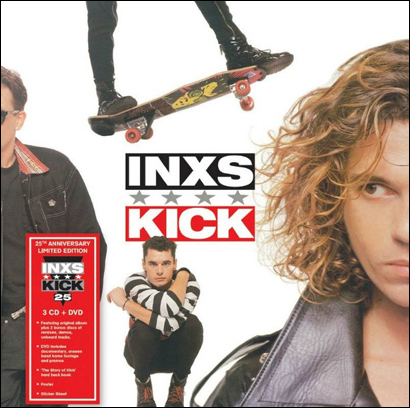 The 25th anniversary editions of INXS’ ‘KICK’ will be released by Universal Music on the 17th of September 2012.